One of the biggest struggles of parenthood occurs each evening at the dinner table. Search “How to get kids to eat more vegetables,” and hundreds of articles will pop up, suggesting anything from hiding vegetables in other foods to using garlic, bacon, and butter to make vegetables seem more appealing! It seems that, despite our knowledge of how important eating an abundance of healthy foods is (including plenty of fruits and vegetables), most of us still struggle with picky eaters, and worry about our children getting enough nutrients through these healthy foods. And worry we should; according to the CDC, 9 in 10 children do not eat enough vegetables. Why is it so important to offer a diversity of foods to our children? First and foremost, a wide array of foods means a wide array of nutrients. Science supports the “food first” theory of healthy eating, rather than relying on vitamins: “Nutritionists recommend food first because foods provide a variety of vitamins and minerals and also dietary factors that are not found in a vitamin or mineral supplement,” said Penny Kris-Etherton, Ph.D., R.D., and Distinguished Professor of Nutrition at the Pennsylvania State University’s College of Health and Human Development (American Heart Association). Another less obvious benefit is hidden deep within our bodies: our microbiota. The human microbiota refers to the ecological community of commensal, symbiotic and pathogenic microorganisms found in and on the human body, and includes bacteria, archaea, protists, fungi and viruses. Our microbiota is what keeps us healthy, helps us absorb nutrients from the food we ingest, produces vitamins we cannot produce ourselves, and even helps regulate our weight. But a healthy microbiota requires a diversity of foods, including a wide range of fruits, vegetables, and other plant-based foods. When we stop eating these foods (or never start eating them), many healthy gut microbes die, and we lose the health benefits. Check out this interactive learning tool to understand more. For a more comprehensive look into the human microbiota and its important role in babies, children, and adults, read Let Them Eat Dirt, by B. Brett Finlay and Marie-Claire Arrieta. Here are some tips to encourage your kids to go for those greens (and oranges, purples, reds, and yellows) at dinnertime, and for snacks as well! The first step to encouraging good eating habits is to set a good example. From a scientific standpoint, the best predictor of a child’s eating habits is his parents’ eating habits. Our children learn so much from us, including how and what to eat, so simply telling a child to eat his veggies while you eat around yours just doesn’t work. 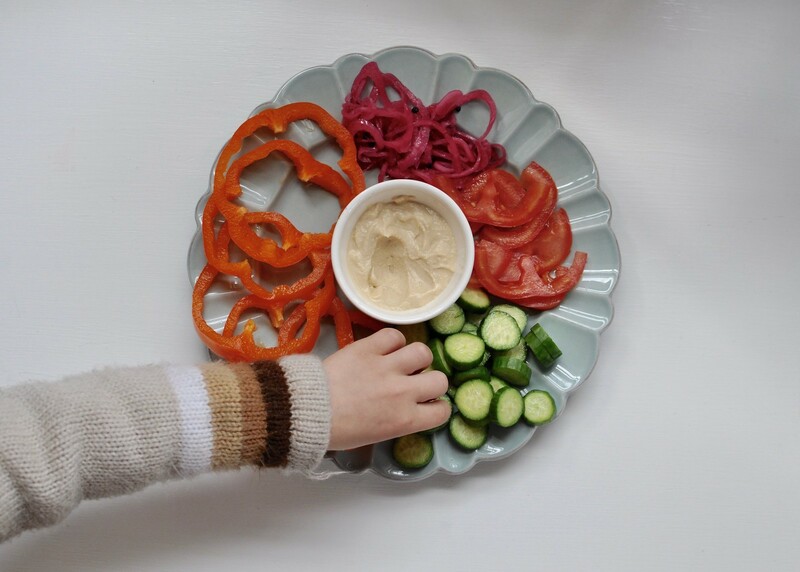 Enforce a “one-bite” rule; meaning, a child must at least try a bite of everything on her plate, even if she doesn’t finish the whole portion (and add a healthy load of veggies to that plate – research supports the idea that the more veggies you put on the plate, the more veggies your child will eat!). Keep in mind that it takes not 2 or 3, but closer to 9 or 10 times for a child to get used to a certain food. That means, on 7 or 8 occasions, your child may reject the same food – but with enough exposure, she will begin to rate the food more favorably, and even ask for it. Keep trying! Don’t leave the veggie off the plate, and don’t turn dinnertime into a power struggle. Any parent can attest to the power struggle at dinnertime. It no doubt makes the whole experience less enjoyable for all, and doesn’t seem to work anyway. Instead of digging in your heels and insisting that your toddler eat all of his salad, encourage one bite, praise him for trying a new food, and move on. Food should be enjoyable! If it is understood that there will be a vegetable on the plate at every dinner, enlist your child in choosing which veggie to serve one or two nights a week. Even better, encourage him or her to help prepare it (see Ms. Sophie’s wonderful tips here). Enlist your child’s help in choosing fresh produce at the grocery store or farmer’s market, or even grow your own in a backyard garden or in pots on the patio. While we adults tend to prefer our vegetables cooked or with sauces or dressings, children may prefer theirs raw and separate. Consider placing different vegetables and fruits separately on the plate rather than cooked into something. The bright colors and different textures of cherry tomatoes, cucumber rounds, thinly sliced orange and yellow peppers, or whole snap peas can sometimes appeal to little ones more than a dish with many different flavors combined. Try lightly steaming broccoli (just a few minutes, so it retains its crunch) and squeezing a bit of fresh lemon juice on top! Sneaking vegetables into other foods by pureeing them misses the point; in order to form good eating habits, a child should get used to the flavors, textures, and appearance of all different types of food! Read more about this idea here. Before serving the main course, offer the salad or vegetables first. This is when your child is hungriest, and she will be more likely to dig in. Or consider putting out a vegetable snack right after school when your child comes home ravenous! 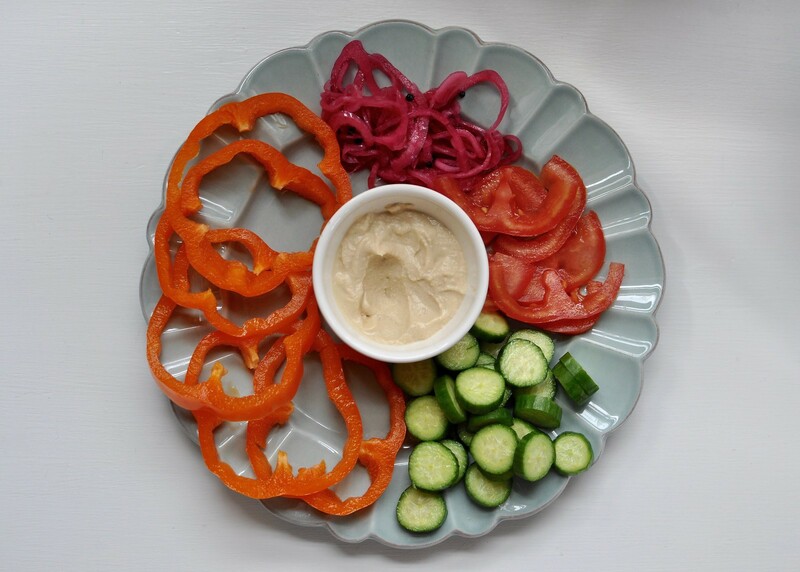 Veggies and hummus is a great, easy snack to make, especially if you cut up the vegetables ahead of time. 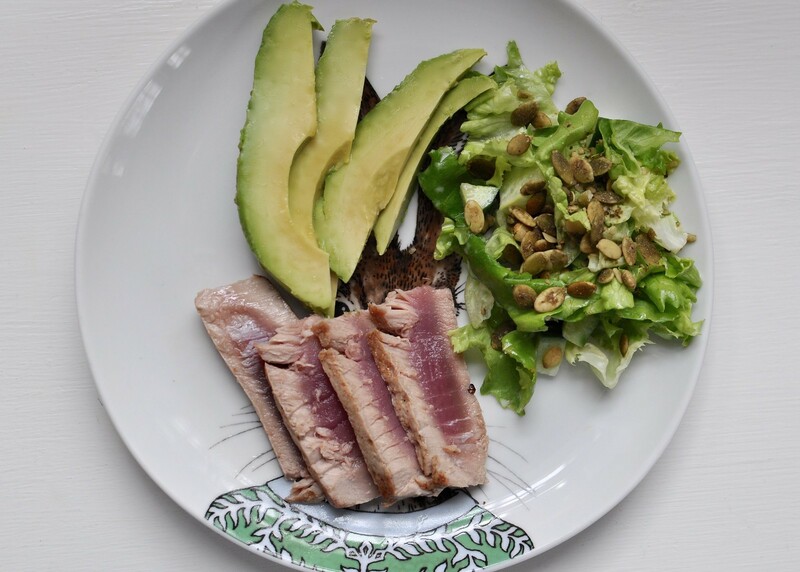 Just a sprinkle of sea salt on top of a fresh salad does wonders in adding a bit more flavor – try fresh avocado with lime squeezed on top, sprinkled with a bit of salt, or just a pinch on top of salad.